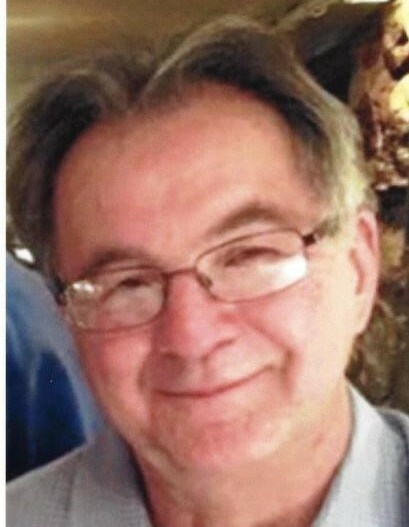 Obituary for Frank Duda | James C. Stump Funeral Home Inc.
Frank Duda, 67, a longtime educator and Mid-Mon Valley business owner, died peacefully of cancer surrounded by loved ones at his Rostraver home Monday morning. He was born in North Charleroi on October 12, 1950, a son of the late Casmier and Gilda (Mazza) Duda. Mr. Duda was a retired Yough School District teacher and the owner of The Finishing Touch. Mr. Duda graduated from Belle Vernon Area High School in 1968, and he went on to earn an education degree studying English and Spanish at California University of Pennsylvania. Upon graduation, he began his teaching career in Braddock, and just two years later accepted a position at Yough. He would spend the next 31 years there, passionate about his work. Even in retirement, he prided himself on remembering the names of his students, and where they sat in his classes when he taught them. Mr. Duda always exhibited an entrepreneurial spirit, so despite teaching full time, when the school bell rang at the end of the day, he went on to his second job at his very own carpeting and flooring business. He successfully built The Finishing Touch from a one-man, one-room carpeting operation to a thriving mid-Mon Valley business with locations in Monessen and Monongahela; a staff of 10 employees; and dozens of subcontractors. Although family, friends, and his buddies with whom he drank coffee each morning said he worked too hard, Mr. Duda liked to tease them about his broad range of experiences and travels. Mr. Duda backpacked through Europe five times; he ran with the bulls in Pamplona; and he slept under the stars at the foot of the Ernest Hemingway statue. As a teen, he raised pigeons, and as a 40-year-old he took up skiing. He was somewhat of a pool shark; he could dazzle people with magic tricks; and he was known to be quiet, yet philosophical, with a love of books and reading. “Don’t squander time, for that’s what life is made of,” he would say, paraphrasing Benjamin Franklin. Mr. Duda is survived by his fiancée and life partner, Gwen Stonfer Yarnick, of Rostraver; his beloved sister, Frances Duda Fayish and her husband, John S., of Belle Vernon; two nephews, Michael, of Belle Vernon, and Jaron (Breanna), of Kokomo, Indiana; and two great nieces, Kiylah and Gracelyn, at home. He also is survived by his faithful canine companion, Cassie. Visitation will be held Wednesday, September 5 from 2 to 8 p.m. in the James C. Stump Funeral Home, 580 Circle Drive, Rostraver Township (724-929-7934) www.jamesstumpfuneralhome.com where the Rev. Vincent J. Gigliotti will hold a blessing service at 11 a.m. on Thursday, September 6. Interment will follow in Belle Vernon Cemetery.